The state of touchless bathrooms is absolutely confusing to me. On one hand, you have public restrooms... the people who should be investing in touchless bathroom solutions. Many times when people add public restrooms to their facilities they don't spend the extra money to make it touchless. On the other hand, you have home owners who are increasingly more interested in buying touchless solutions. Home owners tend to keep their bathrooms clean anyways, so it really seems kind of opposite. Let's look at the good, the bad, and the ugly of touchless technology. These additions to a public restroom can make the difference between my relieving myself at a gas station or uncomfortably holding it until I get home. As for residential bathrooms, it's great that people want to be germ free, but sometimes germaphobes can take things a little bit too far. Even though we have this great touchless technology we don't even put it to good use where we need it the most: public bathrooms. You are a stingy business owner if you skimp on your bathrooms. Yes, touchless bathrooms will run you a higher bill to set up, but your customer satisfaction will be higher if you go touchless. You're talking about touching virtually nothing to touching virtually everything (that everyone else has already touched). On the other hand, home owners are going bananas over Kohler's new touchless line of toilets. I can't tell if it's great marketing or if it's actually a big deal to flush the toilet without touching it. The main argument of home owners in regards to their precious touchless toilets is that it makes your bathroom more germ free. I understand where they are coming from, but this is where public bathrooms differ from home bathrooms: bathrooms in your house should be cleaned regularly. But that's crazy talk! Not really. I don't see why you need to invest in a more expensive, over-hyped touchless toilet when germs in your house bathrooms should not be a big deal anyways, provided you clean every so often. Let's talk about the ugly, where touchless bathrooms have gone too far. I saw one product on Google+ that claimed to make bathroom stalls touchless. Watch the video below, come up with your own opinion, and then you can read mine below. So that's that. I certainly don't mean to rip on anyone's product, because it boils down to if you can sell it.... but really? It would take a balancing act of epic proportions for me to operate that thing. Is this what touchless bathrooms are headed toward? Has the craze only just begun? Let us know your opinions on this touchless bathroom topic in the comment section below. One quickly rising issue in the public school system is vandalism. 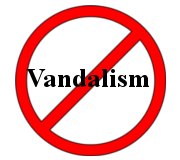 You will see hints of vandalism in private schools, but the issue mostly falls within the public school sector of education. The number one solution to fixing a problem like this would normally be to fix the behavioral issue, which can often times be done in smaller private schools, but that's a tall order considering that we are talking about public schools. Today we are going to look at some preventative maintenance solutions to help reduce vandalism in school restrooms. Certain kids in public schools will vandalize anything they can get their hands on. As unfortunate as it is, it happens, and there needs to be a solution. The primary target of restroom vandalism is the toilet, considering that kids get bored sitting there doing their business. They have nothing better to do, so why not break something. Another common target for vandalism is the faucet. Both repairs and replacements for these fixtures can ring up a hefty bill for schools. These schools don't want to have to spend money on bathroom repairs when they could use it for something more resourceful, so how can they make their bathrooms vandal proof? A good solution to the school restroom vandalism problem is prison grade comby units. 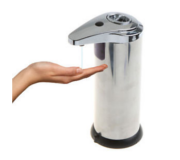 These stainless steel, vandal proof units are a 1 piece toilet/faucet combination. You could either set up vandal proof specific bathrooms or renovate your whole facility to include these units. The cost will be higher up front than your traditional fixture installations, but it will save you money in the long run by alleviating the need for part replacements due to vandalism. Welcome to the Gorilla Weekly! 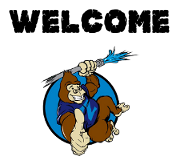 The Gorilla Weekly is a blog designed to bring you quality posts about the commercial plumbing trade from a team that has over 20 combined years of experience in the commercial industry. We will be covering a variety of topics including how to guides, insight on trade issues, and plumbing humor. We will be publishing an article weekly on Fridays. Our goal is that this blog will not only bring an informative insight to our readers but that we can also develop a stronger connection with our customers. We want to talk about what you want to hear, so e-mail us at blog@plumbzilla.com if you have a topic request that you would like us to write about. Comment below and let us know if you have any ideas for the blog or any topic suggestions!